These memories were shared by Rick Dunham, grandson of Helen (Banzin) Dodd Gestautas. 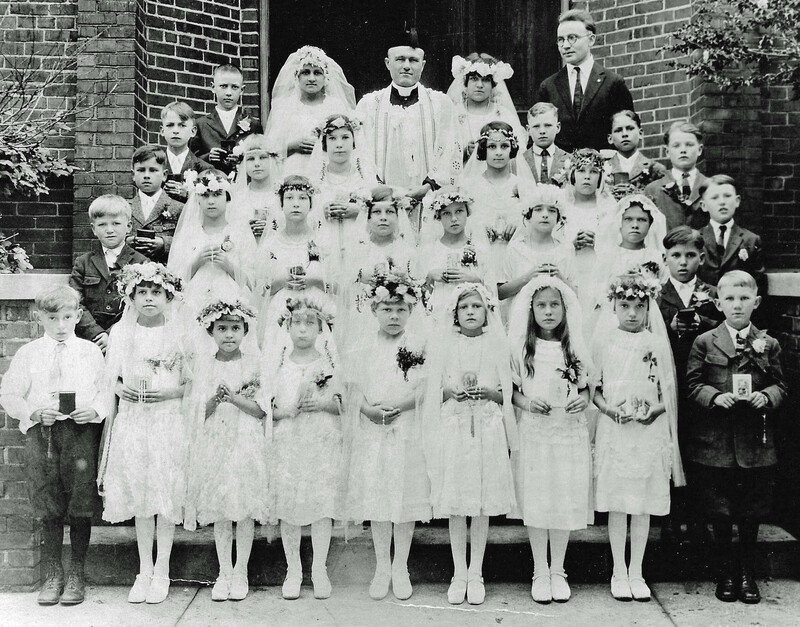 First Communion at St. Vincent de Paul’s in Springfield circa 1922. Helen Banzin is second from left in the front row and her sister Margaret is third from left. Rick says his memories of his Grandma Helen (daughter of Mykolas and Magdalena) are of her sweetness and kindness. She cooked for her grandson –mostly breakfast, eggs and bacon, but sometimes ham. Rick’s mom, Mary Ann (Dodd) Dunham Homer, said her grandmother Magdalena would make duck blood soup, which she could never bring herself to try. Helen (Banzin) Dodd with Mary Ann (Dodd) Dunham Homer circa 1940. Rick’s grandmother’s second husband, Paul Gestautas, was a World War II refugee and displaced person and would tell him stories of Lithuania every day. Grandma Helen did not like to speak Lithuanian very much in her old age, but Paul always insisted. He was very attached to his homeland and paid for Rick’s first two trips to Lithuania.